SKU: BARR-KNOTSTAG. Categories: Hair Jewelry, Metal Barrettes. You might recognize this style of barrette from the History Channel’s series Vikings. They were originally made for the show’s character Legertha, but now you can wear them too! 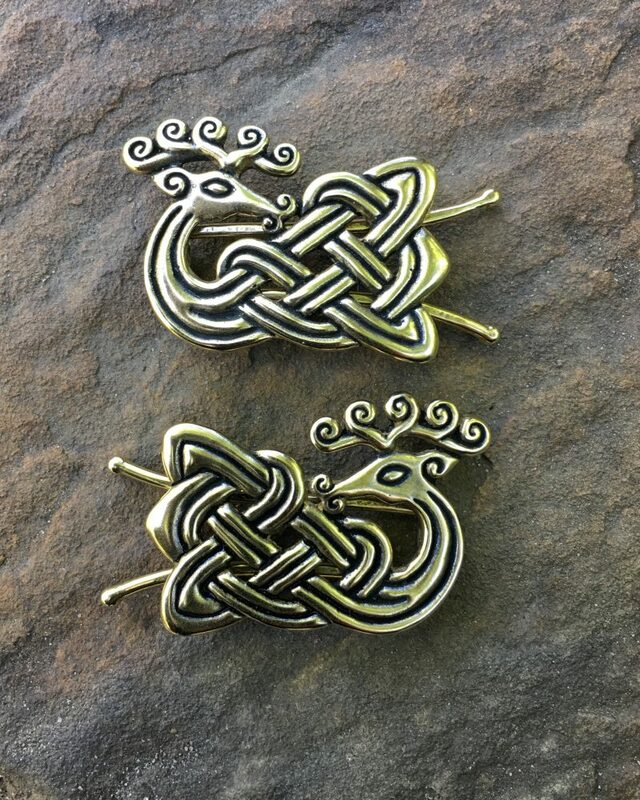 Lagertha did not wear stags in her hair, instead choosing the does and hounds, but these Stag Barrettes would proudly be worn by a Viking Shieldmaiden! 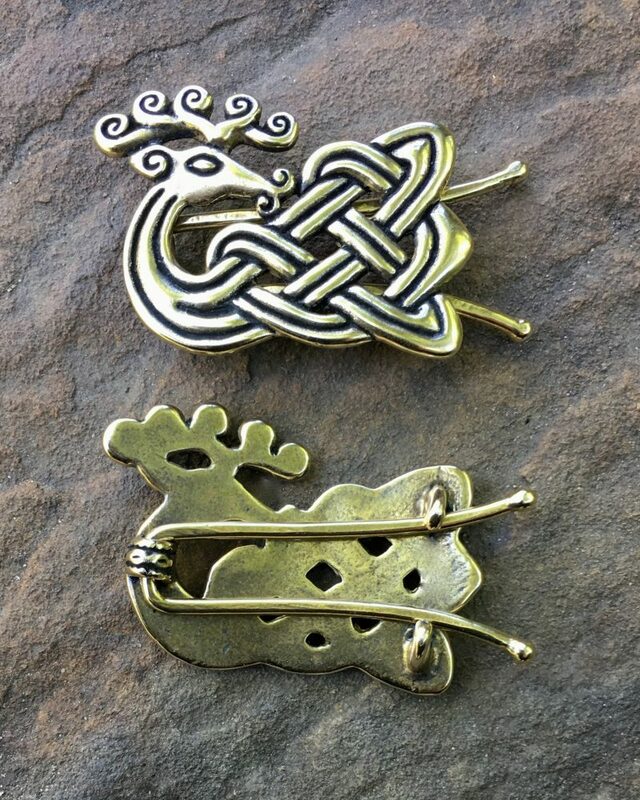 Our Stag Barrettes are available singly or as a matched set. Each barrette is 2.25″ wide by 1.25″ tall (57 x 32 mm) and features a hinged spring clip. They available in both bronze and sterling silver. 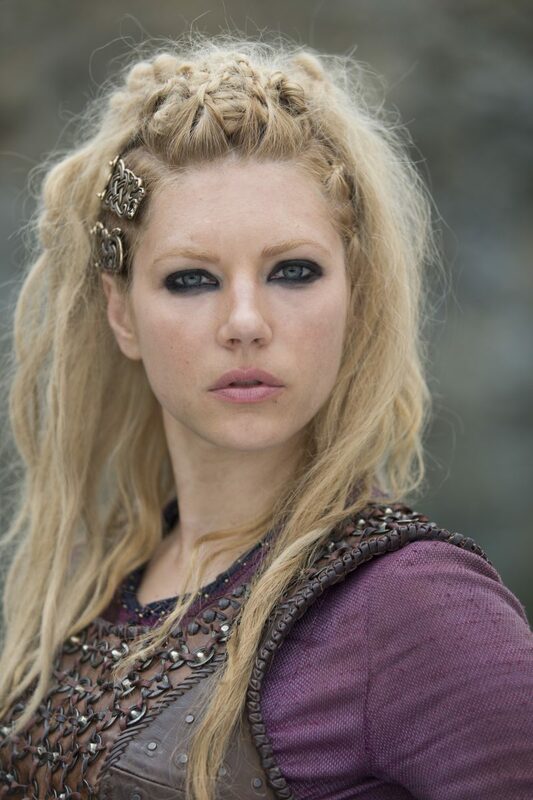 You can find the Hound and Doe Barrettes Lagertha wore in the show here.